As our regular readers will know, my Dad, Frank, restaurateur & raconteur extraordinaire, passed away last August. 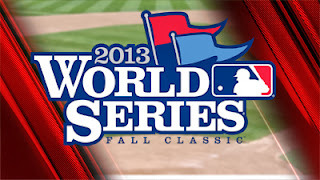 I was reminded of Dad last night, as I watched the Boston Red Sox & St. Louis Cardinals square off in the Fall Classic. Frankie was famous for his malapropisms & mispronunciations, which made him the toast of Bloor Street. For example, bum, (a term of endearment), he pronounced bump. "I don't know what is a bump -- but I am not Chinese!" The name of Boston's professional hockey team (Bruins) never made sense to Dad. "Brooms, what a stupid name! What's next? Mops, dust pans?" Which brings me back to the Fall Classic, which Dad called, wait for it, The World Serious. The name puzzled Uncle Louie. "Well, Louie," my Dad explained, "many people take it very serious..."
I miss the old fart.